I am looking forward to your coming Colonial releases. I have really enjoyed painting your British Mounted Infantry and I am attaching some pictures of these efforts. 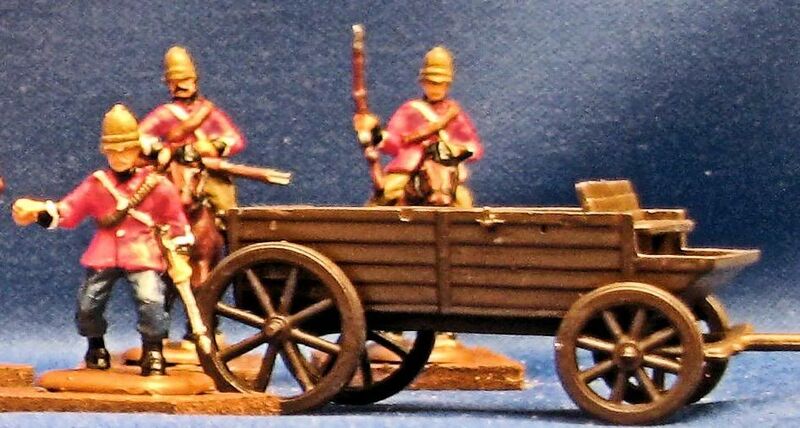 The wagon with the mounted infantry is an Atlantic one, waiting for its ox team. Many thanks to Mr. Smithers.